I could not help notice this particular front page news item on many Indian dailies (okay I accept I was on their web portals and hence no front page concept exists J) this Tuesday. 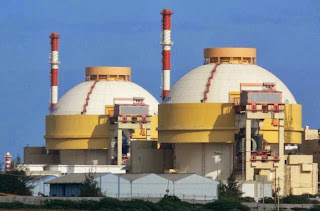 The first unit of Kudankulam Nuclear Plant in Southern India, the reactor for which was bought from Russia, was connected to the electricity grid yesterday and it started feeding over 150 MW of electricity to the grid. Finally, the first fruit of Indo-US nuclear deal can be seen ripening as the authorities plan to gradually increase the production to 1000 MWs in multiple stages. For those who have started thinking critically of my view already, I agree that this is no significant contribution to a country of over 1.4 billion population with almost 10% deficit in supply compared to the demand even after more than 200 GWs of installed capacity. What is significant about it is the hope that this generates. India is desperately energy starved with a peak power shortage of around 10%. Even what we generate currently is not something to be proud of. The share of coal and petroleum-based production in our energy supply touches close to 70%. With depleting reserves of these non-renewable sources, one is bound to think of how we would meet our energy requirements a couple of generations from today. It is then that we see a ray of hope in the face of nuclear energy. It is cheaper to produce over a long run and has the capability to serve this energy hungry country. However, we need to be appreciative of the challenges that lie ahead for wider acceptance and implementation of nuclear energy production. Even this meager start that we are priding ourselves on did witness multiple slowdowns and stoppages. India signed the nuclear agreement with US in 2008 when we also got a sort of “permission” to receive support from various countries to build non-military nuclear installations. This was after we agreed to separate our military and civil nuclear programs and bring the civil program under international vigilance. This it-self came after more than three years of international negotiations and internal legislations to provide a foundation for the agreement. And it took another 5 years for that effort to bear its initial fruits. 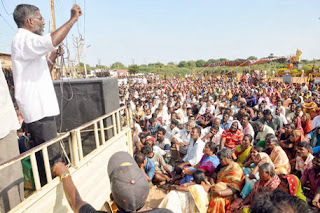 Local residents in Tamil Nadu, the state where the nuclear plant resides, proved to provide a very stiff opposition to the concept of nuclear energy. The fear of a nuclear accident overpowers any argument of the provisions undertaken to ensure secure operations. 2011 Fukushima nuclear power plant accident did have its own impact on common man’s psyche that now can show them only destruction, death and gloom when they hear the word “nuclear”. Workers at the power plant were manhandled, engineers held captive for days and politics played out its role in run up to the generation of nuclear power. All these led to a more than two and half year gap between construction of the plant and energy generation. The Kudankulam Nuclear Plant went live on the day when Prime Minister of India was in Russia and was expected to sign an agreement for receiving two more similar reactors. We all now know that this did not materialize mainly because of an apparently restrictive legislative framework. Our Nuclear Liability Law requires the supplier of a reactor to assume the responsibility of any nuclear accident on the site for 5 years and is liable for recourse of up to 250 million dollars. Though I agree that this is contrary to the requirements in most countries, this should actually not be a major deterrent if the suppliers are sure of the robustness of reactors. Inherently there is no issue with the legislation. What actually suppliers fear is the interpretation of that legislation which is done by the judiciary and not by the government. Any such interpretation and execution of this law would only be evident when there is an actual accident and this is the reason for most commercial suppliers to be hesitant in approaching India for the sale of reactors. This is also where the diplomatic ability and assurances of the government would be put to the test. Hence government would face a two edged sword while dealing with this. It would be the responsibility of the government to assure the suppliers about the fact that legislation is not there to penalize them uselessly but to protect our own interests. 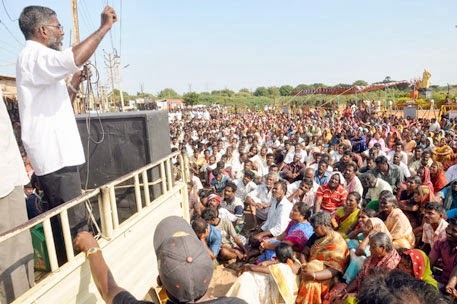 At the same time, government would need to work towards increasing the acceptability of nuclear energy among masses. But underneath all this, what I hope is that with improved technology and scientific infrastructure that we now have, nuclear energy authority has ensured that the reactors we buy or build have the best available provisions to secure them against any plausible threat because until that is the case, it would be a huge risk being brought on our soil which is not worth even if we have serious issues in the energy sector and nuclear energy seems to be only viable solution at the moment.